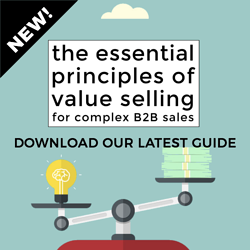 DOWNLOAD OUR LATEST eBOOK: "A STEP-BY-STEP GUIDE TO VALUE SELLING"
Sales consultants often make the distinction between transactional and complex sales. 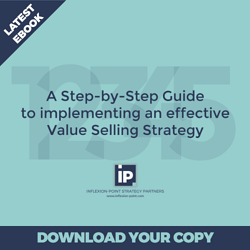 Transactional sales - whatever their value - tend to have a relatively simple buying journey, are associated with lower decision risk, and involve fewer stakeholders. The decision is often regarded as tactical rather than strategic, the information required to support their decision is often straightforward and based on specification, price and delivery and the decision-making process itself is typically linear. Complex sales, on the other hand, tend to be subject to a complicated and often non-linear buying journey, tend to have a higher decision risk, and involve a larger decision team. 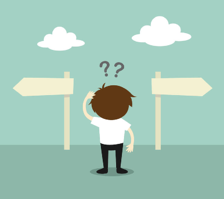 The decision is often regarded as strategic, the information on which decisions are based is usually complicated and sometimes contradictory, and there is a very real possibility that the potential customer may - after devoting significant effort to the exercise - simply decide to stick with the status quo. Let me explain what I mean: familiar purchases are ones which are similar to those that the organisation and the decision team have made on previous occasions. They have relevant experience of the problem, the options available and the decision-making process. As a result, they are often confident in their ability to make significant progress in their buying process using their internal resources and expertise plus publicly available information. They often see little need to actively involve potential vendors until they are a considerable way through their buying journey. These are the sort of projects that have led various researchers to conclude that “buyers are (on average) 57%, 65% or 75% through their buying process before they want to engage with a sales person”. Unfamiliar purchases, on the other hand, are ones which take the organisation and the decision team into previously uncharted territory. They have much less experience of the problem, of the options available and the factors they need to take into consideration in their decision-making process. They are typically, as a result, less confident in their ability to drive the buying process forward just using their internal resources and expertise. They may find themselves confused by the range of information and opinions they can find over the internet. They are much more likely to recognise that they need an experienced external guide. They may choose to engage a specialist consultant to help them. And they may be much more open to having a consultative conversation with a sales person if they believe that they are not simply going to be exposed to a crude product pitch. These are the sort of projects where it should be possible for a credible and trustworthy sales person to be invited to help the prospective customer navigate the complexities of their decision process at a far earlier stage. Between these two extremes, we have what I call “deceptively familiar purchases”. These are situations where the customer is - for the moment at least - more confident than can be rationally justified in their ability to apply their past experiences to the current decision process. This often happens when something in the customer’s situation or environment has changed, and where the customer may not be aware of the latest development or their implications. It also happens when the customer has developed an unjustified faith in or a strategic reliance on their current strategic IT platforms despite the fact that other more agile vendors have been able to apply breakthrough thinking to the problems the customer is trying to solve - making the new wave of solutions dramatically more effective than those offered by the “old guard”. Regular readers will know that I’m a great believer in situational sales strategies. Once we learn to distinguish between familiar and unfamiliar purchase environments, we can implement the situationally relevant strategy. If our prospective customer appears to believe that they are in familiar territory, and assuming that we are not yet their preferred option, we need to help them see their situation from a fresh perspective. We need to help them to recognise that disruptive forces are disturbing the status quo, and that traditional attitudes and approaches are no longer going to enable organisations like theirs to rise to the challenge of the future. Before we make any claims about our solution being better, we first need to establish why and how our approach is different, and how this results in lower risk and superior outcomes in a changing world. We need to hold back from prescribing our solution until our in-depth discovery has uncovered these disruptive forces, the challenges they are creating, and the consequences of failing to adapt to these inevitable changes. And if our customer has already recognised that they are in unfamiliar territory and acknowledge that they need help, let’s not spoil our opportunity by rushing to propose our solution prematurely. Let’s stick with the problem and its implications until the customer recognises that there’s an overwhelming need to take a fresh perspective. Either way, let’s ensure that we truly behave as trusted advisors. Let’s share our experiences and insights. Let’s help our prospective customer recognise the advantages of our perspective and our approach. Let’s have value-creating conversations. And let’s at all times resist the “itch to pitch”. What about your current opportunities? When conducting your next wave of opportunity reviews, I encourage you to ask your sales people to reflect on whether each of their current prospective customers is on a familiar or unfamiliar buying journey, and how they have adapted their sales strategy a result? And if you get indistinct answers or blank stares, you might want to question whether your sales people truly understand their customer’s situation - and encourage them to take steps to do something about it before the opportunity is delayed or lost through avoidable ignorance. 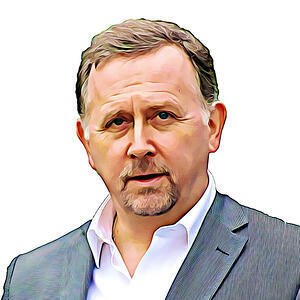 Bob Apollo is a Fellow of the Association of Professional Sales, a member of the Sales Enablement Society, a regular contributor to the International Journal of Sales Transformation and the Sales Experts Channel and the founder of Inflexion-Point Strategy Partners, the leading UK-based B2B value-selling experts. Following a successful corporate career spanning start-ups, scale-ups and market leaders, Bob is now relishing his role as a pro-active advisor, coach and trainer to high-potential B2B-focused sales organisations, systematically enabling them to transform their sales effectiveness by adopting the proven principles of value-based selling.